When I read science fiction that isn't an epic space opera-type opus, I tend to enjoy the books that stay true to the roots of the genre - exploration, the vastness of space, first contact, and so on. 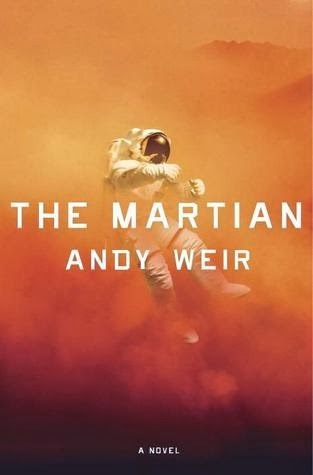 The Martian was something that caught my eye because it was such a simple concept - an astronaut abandoned on Mars. What I didn't expect was for it to be one of my favorite recent science fiction reads. The book is basically the story of one man, Mark Watney, who was left for dead on an expedition to Mars. He was presumed dead by his commander and crew, and they left during a particularly difficult sandstorm. When he came to, he was able to go to the staging area and begin working toward survival. Meanwhile, NASA is trying to figure out how to rescue him, he's trying to survive, and there's another Mars expedition happening in a few years, assuming our hero can last that long. I loved this for a few reasons. One, it's really like an old school survival story set on Mars. It's reliant on all sorts of fun science fiction (and science fact, really) tropes as we live alongside our Martian refugee. The story is told mostly in journal entries from Mars, which allow a lot of levity and humor to go along with the proceedings. The NASA scenes, as well as the occasional communication, also lend themselves to a lot of fun and interesting exchanges. The book is also far from predictable. It's not a traditional narrative at all, and I really ended up guessing until the very end. The story isn't perfect, of course. The gravity of the situation is never fully portrayed, even though the book purposefully keeps things light. Watney is a bit of a wisecracker, which is what it is but also feels into that issue of seriousness. The story is also basically about Watney, but more attention to the NASA and exploration group may have been beneficial. None of these are really game changers, however, simply preferences. Overall, a really excellent read that (I hope) gets a lot of attention. It deserves it, as it's a fun, rollicking read in a genre that can use this type of book.